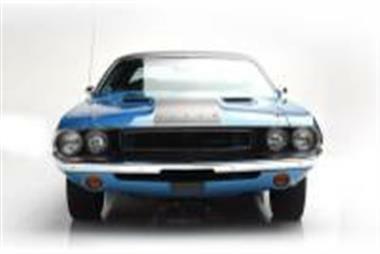 1970 Dodge Challenger in Scottsdale, AZ for sale. 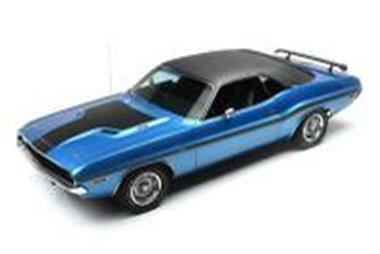 With the pony car wars being dominated by Ford and Chevrolet in the late andrsquo;60s, Dodge decided to throw their hat in the ring with the Challenger in 1970. With a longer wheelbase and larger dimensions, the idea was to have a more luxurious car offering than the competition to sway more affluent buyers. 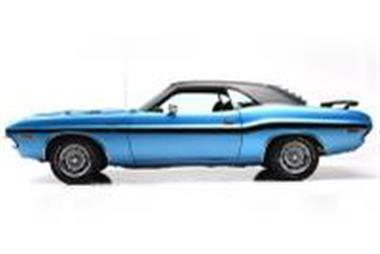 A wide selection of engine options were offered, ranging from an economical Slant-6 to the legendary 426 HEMI. 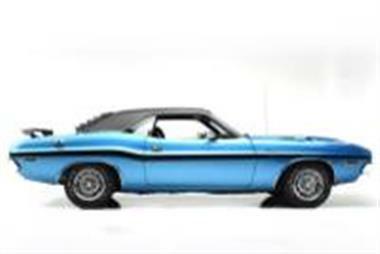 With the HEMI adding a premium price, however, most performance-minded buyers opted for the next best thing: the 440 Six Pack. Equipped with three 2-barrel carburetors, the engines were rated at 390hp. 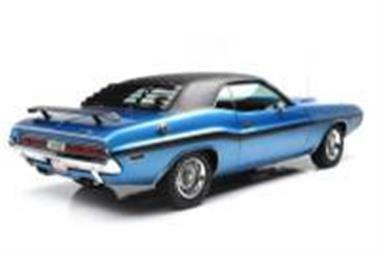 Only a handful of cars left the factory with the Six Pack; just 793 were built with automatic transmission.</p><p>This 1970 Challenger R/T retains its original 440 Six Pack engine and 727 TorqueFlite automatic transmission. Itandrsquo;s an older restoration, refinished in the correct B-5 blue with black interior, as well as a black vinyl top and black side tape stripe. 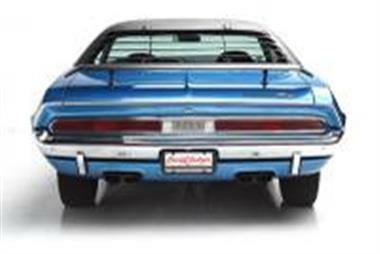 The VIN tag and trim tag are original to the car, as is most sheet metal, including the upper radiator core support and cowl. The car features a Rallye gauge cluster, performance axle package, console with bucket seats, added-on rear window louvers and trunk-mounted Go-Wing. 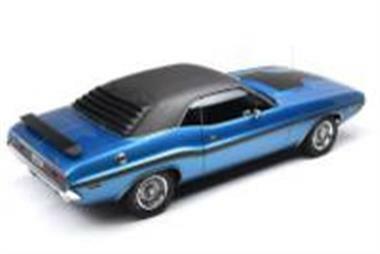 The car is driver-quality with an older repaint, and comes with a Level 3 Validation Report from Mopar authority Dave Wise verifying the originality and documenting the condition of the car at the time of inspection. 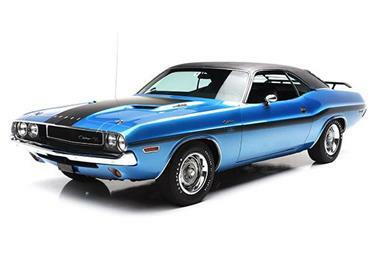 This vehicle is priced $2,621 less than the Average Market Price of $81,121 for a 1970 Dodge Challenger. This is a Fair Deal as it's priced 3.0 % below market avg. The Pie chart below shows the number of ads within different price ranges.